Rejuvenate & resurface you skin with 3 unique medical-grade chemical peels from MedAndSpa. When you look in the mirror, do you see signs of aging due to sun damage, acne or wrinkles? MedAndSpa now offers different type of medical-grade chemical peels that can dramatically improve the appearance of your skin. Our aestheticians will evaluate your skin and provide a free consultation as to which of the chemical peels would resolve your skin issues. 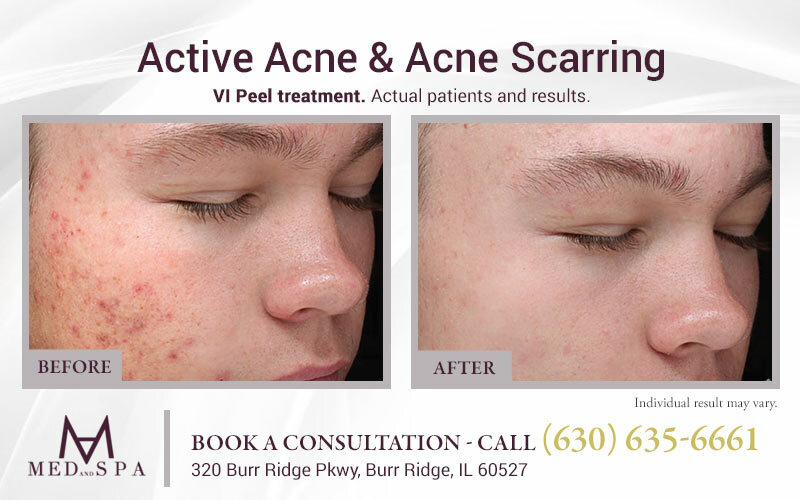 Try one of our facial peels to remove dead skin cells, fine lines, small scars, freckles, dark spots and other skin imperfections caused by aging, hormones, and the sun. 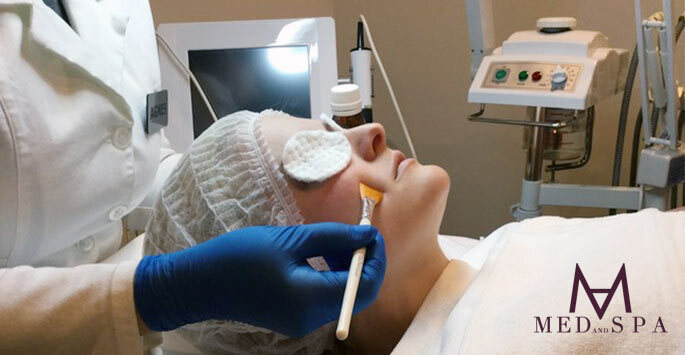 What type of chemical peels do we offer at MedAndSpa? Mild chemical peels use Alphahydroxy (AHA) along with glycolic, lactic & fruit acid compounds to treat fine wrinkles, uneven pigment and acne leaving the skins surface smooth and bright. What skin type is ideal for a medical-grade chemical peel? We find that people with fair skin and light hair are ideal candidates for a chemical peel; however patients with other skin pigmentation and hair colors can achieve very good results with our professional aestheticians advice and treatment. What else should I know about chemical peels? Patients are strongly advised to avoid sun exposure after treatments as it can cause changes in skin color. Chemical peels may also permanently remove the appearance of freckles. Medium chemical peels heal much faster than deep chemical peels and may require more than one treatment for optimum results. Medical grade peels are a great alternative to laser facials, and are a quick way to remove dead skin cells, fine lines, small scars, freckles, dark spots and/or skin imperfections caused by aging, hormones and the sun. A medical peel treatment will generally target your face, neck and chest areas, and can be performed safely by one of our professionally qualified medical estheticians. Contact MedAndSpa today at (630) 635-6661 and schedule your free chemical peel consultation with one of our professional aestheticians.